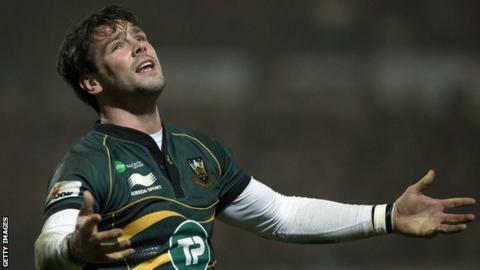 Northampton boss Jim Mallinder has said Ben Foden's omission at the weekend was precautionary and nothing serious. Foden, who has 30 England caps, had played in Saints' previous 10 games since recovering from an ankle injury he picked up in September. "I don't think it's going to be major. England just requested he needs more time," Mallinder told BBC Northampton. "Ben will be the first to admit he has not been 100% since he came back. We've given him extra rest and rehab this week and I'm hopeful he will be playing for us next week. "He's one of our best players. Of course I'd have liked him to play. "But I understand where England are coming from and it's in the EPS (England Elite Playing Squad) period and therefore they have that shout." Foden, 27, appeared regularly for Stuart Lancaster's England in 2012 until he was sidelined by injury. But he was unused for the opening victory against Scotland and was sent back to Franklin's Gardens before Sunday's win in Ireland.